Looking for the best DUI Lawyer in Phoenix? If you’ve been charged with a DUI in Phoenix, the consequences can be life-altering as the penalties in Arizona are some of the harshest in the nation. In fact, a first time DUI A conviction carries mandatory jail, mandatory fines, license suspension, and the ignition interlock device. Facing a DUI is a scary situation to be in and having the best DUI attorney in Phoenix represent you can give you the confidence that you have someone on your side working for the best possible outcome. Every DUI case in Arizona requires specific legal services, and I utilize my experience, knowledge, and skills necessary to fight for the best possible outcome for your specific situation. My ultimate goal is to keep you out of jail and the dismissal of your case. 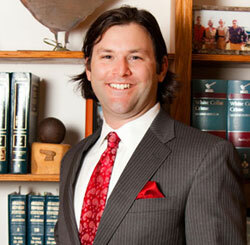 I am pleased to announce that I was recently chosen as one of the top 3 DWI Lawyers in Phoenix by ThreeBest Rated. ThreeBest Rated has a 50 point inspection that includes attorney reputation, reviews, satisfaction, complaints, trust, and cost and all businesses they select are handpicked. Unlike many large firms that work to acquire as many cases as possible at any given time, I represent a limited number of clients. You can expect, individualized service, open communication and I represent clients in all Arizona City, State, and Federal Courts including Phoenix. I understand that good people sometimes find themselves in a bad situation and with an attorney that has a good understanding of the legal consequences, you can rest assured that I will fight for the best possible outcome. If you or someone you know is facing a DUI in Phoenix, contact DUI Defense Attorney Aaron Black or call 480-729-1683 to set up a free consultation.